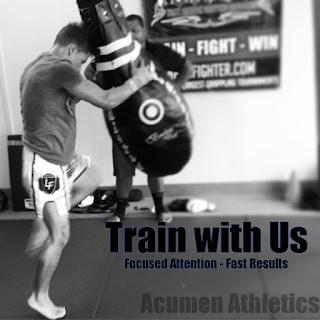 Acumen Athletics: Pad Holding is Important and Valuable for Your Muay Thai Growth. Pad Holding is Important and Valuable for Your Muay Thai Growth. 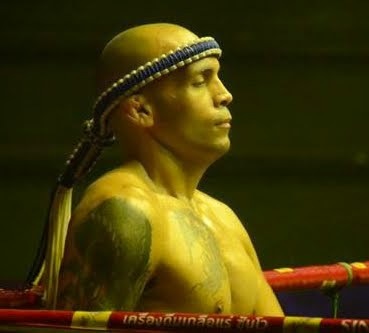 Muay Thai training isn't just about learning how to kick, punch, knee, & elbow as hard as you can. Although I highly encourage pad work to be full power, holding pads can be an art of its own. Your defense will improve. Pick up on the small telegraphing signs your partner initiates before they strike. For example; beginners typically wind up their bodies before kicking or drop their hands before punching. Where more advance students might be as subtle as a gulp of air or a gleam in their eye. You'll improve your timing. Catching on quickly to your teammates' timing is going to be useful for when it comes time to spar with them. You'll learn quicker. Another way to improve your technique is to describe it to a student who has never done it. This will make you aware of the finer details, such as the body's placement and which muscles to active and balance, giving you a deeper understanding of the technique. You'll get a workout. Keeping your partner busy is going to keep you busy. Especially if you're doing a more interactive pad hold where you strike back. With enough rhythm with your partner, it can mimic a sparring match. Come fight time it's a one on one fight but you're going to need a team behind you; a team that's going to push and motivate you through plateaus and to reach levels that'll elevate your game. Return the team's effort. With diligent training and the proper techniques, you will become an invaluable asset to your teammates, improve your own training and grow as a martial artist. Holding pads is an art of its own. In today's drill Eli helps @maggierickman & I demonstrate today's #MuayThai drill; entering w/ kick.